The final Nougat update for the OnePlus3 and OnePlus 3T is coming as a new years present. 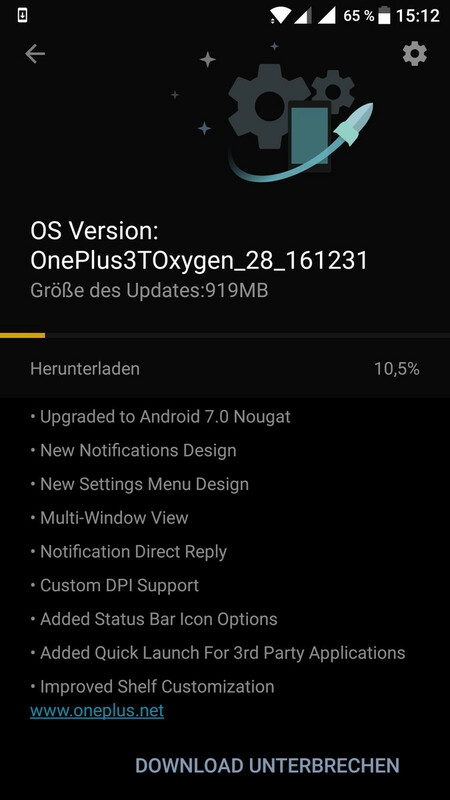 Just a few hours before the new year, OnePlus has started to rollout a stable OTA-Android 7-Update to its OnePlus 3 and OnePlus 3T-users worldwide. Reports come in, that the update is already available to some users. Just a few hours ago, Carl Prei, co-founder of OnePlus announced via Twitter, that the rollout of the final Android 7-update for the OnePlus 3 and the OnePlus 3T will start to rollout over the air tonight and just a few hours later, reports started to pour in, that some users already received an update notification on their phones. When OnePlus announced a few months ago, that Android 7 would be available for the OnePlus 3 and its successor this year, no one believed it would come on the very last day of the year but it looks like OnePlus did keep their word after all even if some users might not receive the update notification until next year.